D.C.: In the book – a reworked-version of my PhD thesis – I conceived the phenomenon of Venetian refugees as the encounter – and clash – between different Italies, that suddenly had the war in common, but that till then never got to know and recognize each other. A unique experience, which may be compared at some extents with the emigration, but was much more unexpected and violent. Refugees were not simply civilians escaping the war. No matter if they were running away voluntarily, by choice or from necessity, they represented a newness of the conflict, an unprecedented social actor, that was going almost unconsciously on the stage. Little by little the exodus turned into a discovery of another Italy at war: not that of the military operations or the zones immediately behind the front, but rather that struggling from afar, and yet completely immersed into the war effort. I made use of various sources: newspapers, diaries, memories and above all letters, in particular subvention requests. These letters were sent to deputies from Veneto or Friuli and represent a significant source to retrace the whole history of the phenomenon of refugees, even if they are not always reliable, since we must consider not only their subjectivity, but also their intent – namely get a concrete support. The work in archive and in researching lasted for three years, mainly in Rome, at the Archivio Centrale dello Stato (Central State Archive). WWIB: Can you point out briefly the main stages of the great escape of the population living between Friuli and Veneto regions after the rout of Caporetto (end of October-beginning of November 1917)? D.C.: An impressive exodus went with the military retreat in October-November 1917 and continued also during the following months, at least till end spring 1918. It involved in particular the ruling, land-owning class and business men, provoking a sort of “internal” or “civilian” Caporetto. In the occupied regions the escape was from cities like Cividale, Gemona, Tarcento, Pordenone, Sacile, Conegliano, but above all from Udine, the “capital of the war”. A hindered escape, since in this case the troops in retreat took precedence in crossing the bridges and it occurred over a little more than two weeks by trains or other makeshift transports. WWIB: Can we distinguish different categories of “refugees” in this period? D.C.: People were escaping not only from the cities, but also from the rural and mountain regions, even if to a smaller extent. And they were not only wealthy persons, but also artisans, workers and farmers. The getaway of those living in the centres along the main roads, who run away before and by train rather than on foot, was usually more successful and they mainly reached a refuge beyond the river Piave, but this is another story. Anyway, if the state of refugee as a result of the war shows a “class nature”, the exodus as a choice shows a “mass nature”. There were obviously also unusual decisions, such as the desire to stay and defend the property or take care of the loved ones, but also the lacking perception of the danger. With regard to the other territories of the non-occupied Veneto, we should distinguish the civilians evacuated immediately or during the following weeks and months on orders of the military commands, on the one hand, and those who voluntarily decided to go away from their cities (anyway, this option was unavoidable for the refugees from Venezia) because they were afraid of the bombings or because of the difficulties in surviving the war situation, on the other hand. WWIB: Can you give us an indicative figure of the phenomenon? How many civilians were involved in the evacuation? 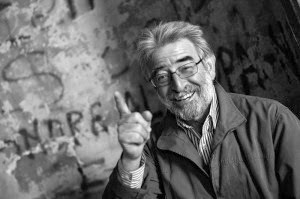 How did the Italian government manage the emergency? Which – national or international - organizations took care of transferring the refugees in different parts of the countries and of keeping them in contact with their relatives? D.C.: The exodus affected about 250.000 civilians from Friuli and the provinces in Veneto, which were occupied up to Vittorio Veneto, and as many civilians from cities like Padova, Treviso, Vicenza and Venezia. Overall 244.858 refugees coming from 308 municipalities, that’s to say about 20,61% of the population (according to the census of 1911). In addition, the mass departure affected – besides the soldiers and the military commands – at least 200.000 people, who were not registered as inhabitants of Friuli or Veneto and were part of both the so called “war bourgeoisie” and the logistic apparatus employed by the high command – public officials, medical corps or war workers. This part of the exodus was never made a point, on the contrary it was neglected even in the official statistics. By and large a “decentralization principle” ruled to prevent the refugees to pour out into cities like Milano, Bologna, Firenze and Roma. Military reasons officially legitimized this decision, that met in reality priorities related to public order, to food supplies, to accommodation capacities and to the war economy. So, even if the more wealthy refugees found at the end a place in the big cities, many of them were forced to spend their “exile” in small towns of the province, oft inhospitable, and stuck there till the end of the war and even after. WWIB: We know that an Italian national identity was achieved long after the political unity of the country. 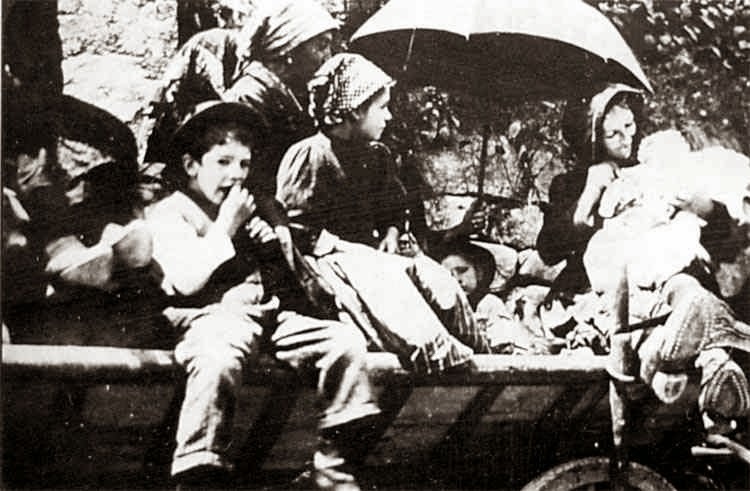 Did the rout of Caporetto and the following experience of the refugees helped in strengthening the connection between north and south regions of Italy? Did this tragedy helped in consolidating a national – maybe even patriotic – common identity? D.C.: Prejudices against the refugees arose almost immediately despite the reassuring reports and the relationship between local population and refugees from Veneto and Friuli were oft difficult. First of all there was a problem of “social antagonism” due to the scarce assistance resources of the local authorities, to the unemployment and the concurrence that the new arrivals introduced in the job market. It was a popular opinion that the dearth of food – which was a central preoccupation already before Caporetto – was caused by the coming of the refugees. One of the most negative attribute ascribed to these latter was their insufficient willingness to work. Those who had no job, were immediately regarded as idle. 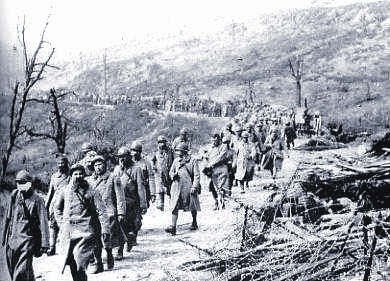 The Caporetto refugees were moreover blamed for the excessive duration of the war. But the reasons of the aversion to them can be discovered in the hard material life condition of the Italian population after two and a half years of conflict. It would be however misleading to attribute these forms of mistrust only to the local population, or to reduce them to simple and understandable attitudes of defence against – real or supposed – dissimilarities. On the contrary, in many places the prejudice was rooted in the cultural differences, sometimes in the different class origin. WWIB: What was/were for you the most surprising thing(s) discovered while working at this book? D.C.: The civilians who eventually became refugees experienced an extraordinary explosion of writing and this fact affected also the lower classes, like workmen or farmers. And we cannot forget the great woman part in all this story, up to the point that it’s probably opportune to speak in feminine terms. While analysing their letters, we discover that these were essentially grant-in-aid requests addressed to members of Parliament belonging to the occupied regions of Veneto and Friuli. These letters are a great source from where starting to study the history of refugees, even if they are not always reliable because of the main reason which originated the letters (material aid). In the first weeks after the battle of Caporetto these letters were mostly concentrated on first aids. The main and constant concern was about the relatives remained in the occupied regions. Necessity of family reunion, the need of a job, tough life conditions due to the inflation, the impossibility to adapt to new climate: all the above mentioned reasons were the most frequent in the applications they sent to get the permission to move from one place to another. WWIB: The condition of being "war refugee" became and probably is still today the starting point to study a wider clot of figures. I'm thinking of people who have been displaced or are seeking political asylum, the stateless, etc.? Do you agree and, if so, in what terms? D.C.: The migrations within Europe during the twentieth century have being studied according to a precise pattern that refers to the category of “refugee” seen as a person moving from one state to another (this is the reason why we have today the refugees studies) or to the conceptual frame of stateless (Hannah Arendt). With the Second World War for instance Germany inherited more than seven million displaced persons, a new expression that defines all the civilians living outside their country because of the war. As you can figure out, the theme is extremely topical. Just think about the present wars and what is now happening in Syria. WWIB: Are you planning new studies on the Great War years? 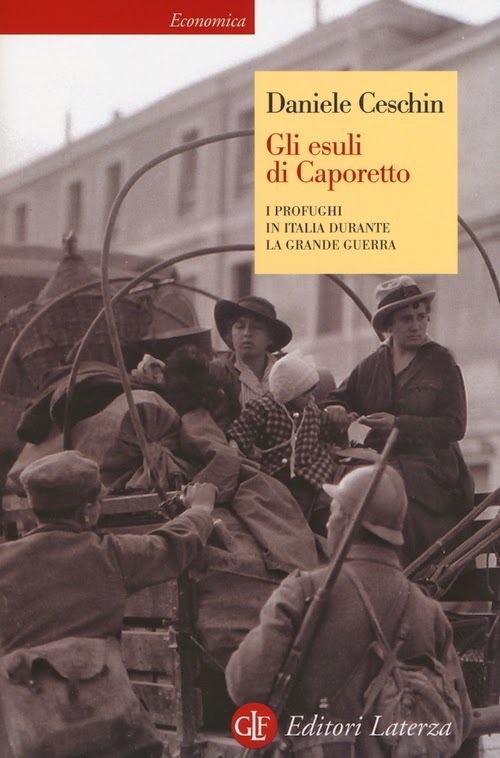 D.C.: I’m now reorganizing all my contributions to the Great War, almost fifty articles written in the last ten years and that went along with my main books: Gli esuli di Caporetto. I profughi in Italia durante la Grande Guerra (“The Exiles of Caporetto. The Italian Refugees in the Great War”, Laterza 2006, the new edition just came out) and the two volumes of the book edited with Mario Isnenghi, La Grande Guerra: dall’Intervento alla «vittoria mutilata» (“The Great War. From Intervention to the Mutiled Victory", Utet 2008). These contributions are essays published in collective books, articles of national or local reviews and proceedings of the conferences I took part to. Putting them together is like to see reflected on a mirror my main interests on the First World War. These interests are the rhetoric of war, the violence on civilians, the repression against the internal enemy and the memory. Secondly I’m also working on a new book about the Italian defeats from Risorgimento to the Second World War, basically an idea originated from Caporetto. Without any doubt that defeat represented a new trauma for the population living in the regions of Friuli and Veneto. The ruling class was very closed to get swept away with no possible comeback. This was a tremendous shock also for the public spirit. The rout of Caporetto weakened for some weeks the hope of victory and the internal front really risked to collapse. On a parliamentary level, we had later a wide patriotic establishment with the hegemony of nationalists. Today the word “Caporetto” still evokes the defeat par excellence, the most terrible defeat in 150 years history of our country. WWIB: What Italian books should they translate outside Italy to get a better understanding of the position and conditions of our country during the First World War? D.C.: There are several Italian studies that would deserve a translation and attention outside of Italy. I’m now thinking about Mario Isnenghi’s Il mito della Grande Guerra (“The Myth of the Great War”) and beside of that we cannot forget the study that Antonio Gibelli dedicated to changes in the mental landscape. Or take also Bruna Bianchi’s commitment in understanding the war madness and pacifism: these books are Italian classics but they would deserve a translation in order to give the right importance to the Italian historiography and to the Italian contribution to the Great War. We put our hopes in the hands and in the minds of a new generation of historians.